How to you better convert web visitors into customers? That's exactly what Retention Science (www.retentionscience.com), the latest firm out of the MuckerLab accelerator, helps e-commerce companies do. Jerry Jao, the CEO of Retention Science, tells us how the firm is using big data to help e-commerce firms convert more customers. Retention Science is venture backed by Baroda Ventures, Mohr Davidow Ventures, Double M Partners, as well as a long list of local angel investors (Paige Craig, Bong Koh, Clark Landry, many others). Jerry Jao: Retention Science is a Big Data and e-commerce platform, where we help engage customers. Our purpose is to help deliver the right offers, to the right customers, at the right time, by leveraging data analytics to understand how a user behaves. Our technology is built around behavioral prediction. We understand when someone is buying and likely to become a customer, and our whole focus is to engage that customer before they completely disappear. Are goal is around retention and the user experience, and helps businesses give special offers to individual users. For example, if you're a retailer like Banana Republic, you probably send out offers to your database. With Retention Science, what we're trying to do, is enable those e-commerce sites to profile every single individual customer, instead of putting them into clusters. We might identify you're a male in Southern California, between the ages of 25 to 35, and Retention Science can use all of this information that we've gathered about you to understand your purchasing power and browsing activity, what your job or occupation is, pulling all those data points to understand how to price offers to you. That allows an e-commerce site to provide an offer specific to you, versus providing that same offer to every single person. By doing that, we can maximize a businesses' margin. Imagine that you will then be able to understand who to send a 20- percent off offer, or who prefers a free shipping offer, and how you can dynamically price your offering based on a user's attributes, and as a result maximize your re-engagement margin. 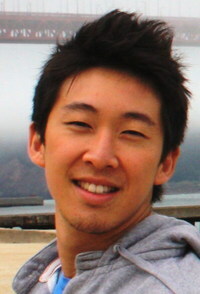 Jerry Jao: My cofounder and I have always been in the e-commerce industry. We had founded our own, e-commerce store previously, and my co-founder Andrew actually started his first venture back when he was fifteen, customizing robots and electronic kits. He actually was named as one of the Ernst & Young Entrepreneurs of the Year. My experience is in the e-commerce business, selling things like DVDs in asia. We've both been really interested in online marketing, and together have founded two other startups around e-commerce and marketing. Retention Science is a result of having worked with over 800 different e-commerce businesses in the last two years, gathering lots of feedback from business owners. Can you talk about what you just launched? Jerry Jao: This is our first, public announcement. We spent the last few months on efforts around our back-end algorithm, as our platform is very mathematical. What were were trying to do, is leverage our in-house algorithms and libraries, and build the infrastructure to enable our current launch. This announcement is really all about our funding. We raised $1.3M, but had an initial goal for the raise of $750,000. We're very grateful that we were able to put ourselves on Angel List and by word of mouth. That allows us to bring on several, Ph.D. data scientists, from Stanford, and from companies like LinkedIn, PayPal, and Microsoft. Any specific segments this is aimed at? Jerry Jao: We're currently focused on clothing and retail goods in general. Once we're out of beta, we'll expand our reach outside of that. We've pretty much determined that it's very effective for companies who are selling goods with cross selling opportunities. Jerry Jao: Right now, we have four full time employees. The big goal with the fundraising is to be able to expedite our growth. A lot of our focus is on being able to build a stronger platform around the algorithm. For us, the results will speak louder than anything. We want to be able to have the best technology, in a black box, magic way, and to implement that with customers. We also are looking forward to turning the platform into a turn-key, plug and play solution. Once we're able to get to that point, we'll want to bring on board more enterprise customers. But, currently our focus is really around perfecting the product.